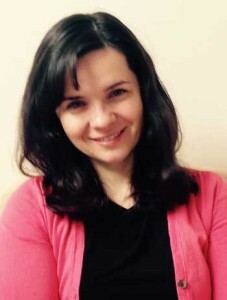 Welcome to the practice of Darina Alban, MSW, LCSW-C. I am licensed clinical social worker (license #13264) in the state of Maryland with over 16 years of professional experience as a psychotherapist specializing in relationship counseling and intensive couples retreats. My clinical focus includes the best evidence based approaches to couple therapy: The Gottman Method Couple Therapy and Emotionally Focused Couple Therapy. I am one of very few therapists in the Baltimore Area with extensive training in both approaches. Prior to becoming a therapist I worked as a shock and trauma nurse. I received my MSW from University of Maryland with a specialization in Mental Health. I conducted my clinical training at Johns Hopkins Bayview Medical Center Department of Psychiatry and then became a staff therapist in the Psychiatry Department where I had the privilege to work with many talented therapists and psychiatrists. Since 2007, I have been in private practice and dedicated my work to helping individuals and couples restore and enhance relationships. My clinical interests include working with attachment injuries, events that damage the trust in a loving relationship and strive to remain up to dare with the latest research on marriage and couple therapy through The Gottman Institute in Seattle, WA , and the International Centre for Excellence in Emotionally Focused Therapy in Ottawa, Ca.